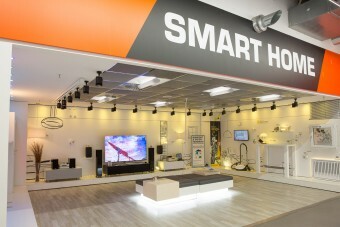 It is the most innovative, most digital, and most inspiring specialized store for consumer electronics in Germany: After being completely redesigned for several months, Saturn Ingolstadt is since November 2016 presenting an innovative store concept for the consumer electronics trade of the future. Visitors to the store are welcomed by Paul, Germany’s first robot assistant in the CE trade, who leads customers directly to the products they are looking for. A huge Gaming and Virtual Reality area with VR game stations from various manufacturers and a “Drone Flight Zone,” in which customers can fly drones, invites shoppers to experience and interact. Europe’s first Samsung Galaxy World with comprehensive product testing capabilities as well as a fully equipped Smart Home living room are yet other store highlights. The service area with a glass workshop for making immediate repairs on smartphones also sets new standards. The extensive reconstruction work has created presentation areas for new product innovations and now dedicates even more space to the service area. The ‘wow’ experience starts already when you enter the store. The robot Paul is there to welcome customers and, if necessary, guides them right to the product in the store that they are interested in. And if a customer is in need of advice, Paul calls an employee to help the customer via Voice over IP. There is also a presentation on the trend topic of electric mobility that shows a selection of the latest hover boards and smart scooters in the entrance area of the store. Special areas also provide information on environmentally friendly products featured in the range as well as the photovoltaic system on the roof of the store that generates green electricity. The store presents its customers the trend topic of the year, Virtual Reality (VR), in its own spacious area. In the VR and gaming department, they’ll find the latest VR trailers and games that they can immediately try out. “Everyone is talking about the new technology. It is amazing how deceptively real the artificial game and adventure worlds can be that you can immerse yourself in with Virtual Reality systems,” says Dirk Huffert. The leading products from the world of VR such as Oculus Rift, HTC Vive and PlayStation VR are also presented at the store in Ingolstadt. The store has also staged the demonstration of drones, which are also among the trend products of the year, in an impressive way. Customers can fly the aircraft themselves in an extra protected “Drone Flight Zone.”. The Samsung Galaxy World, a branded shop based on a rather exceptional concept that celebrates its European premiere here, represents a rather special highlight of the new presentation space in the Saturn store in Ingolstadt. On a round, 80 square foot futuristically designed space, customers will find the latest Samsung products and can try them out right away. Besides the latest smartphones, smart watches and fitness trackers, the VR glasses Samsung Gear is the main focus. With it, you can even experience virtual roller coaster rides or a journey around the world inside the store. Specially designed armchairs, which also transmit the visual simulation to the whole body as movements, thus provide a perfect illusion. The benefits of intelligent home networking are demonstrated by a redesigned space on the trend topic of Smart Home with a fully equipped Smart Home living room. 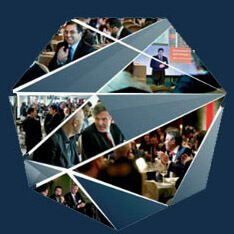 Companies like Bosch and Telekom present their many innovative products on the subjects of security and comfort here. The range spans from 360-degree indoor and outdoor cameras to intelligent air quality sensor and smoke detectors. The new presentation makes it clear how easily these systems can be used and controlled. The topic of music streaming with modern multi-room audio systems from Bose and Sonos as well as the entertainment portal JUKE are also part of the Smart Home presentation. The store has also introduced a number of innovations in the area of service. The services for smartphones and mobile devices are particularly practical and range from immediate repairs in the new glass workshop to customized printing of cell phone covers. During the waiting period, customers can look around the store or spend time in the lounge that is equipped with tablets and chargers. Other redesigned areas are just waiting to be discovered in many areas of the store, including the TV department and kitchen appliances, which are presented in a show kitchen, among other places. The entertainment department that offers discerning music fans an even wider selection of records and record players is also worth a visit.